Vodafone has announced that it will update the bargain Huawei Ascend G300 handset with some nice, tasty Ice Cream Sandwich. The $100 pay-as-you-go handset went on sale in April to great acclaim, and it'll soon be free of the shackles of the Android 2.3 Gingerbread operating system. The device, which is the first Huawei handset to bring the company's new Android skin into play, touts a 1GHz processor, 512MB of RAM beneath a 4-inch WVGA touchscreen. 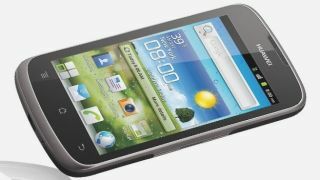 The handset also has a 5MP camera, 2.5GB of internal storage and a microSD card slot. Vodafone's IT technical manager Kevin Ralph says the company takes a couple of weeks to test the Android updates, once the manufacturer has configured its own version of the software. Ralph says that the G300 device will get the full Ice Cream Sandwich package. "It's the first time we've seen Ice Cream Sandwich on a Huawei, and the first time we've seen them do this kind of upgrade -- so it's important we test everything and make sure the user will get the best experience," he said on the company's corporate blog. Why does it take so darn long? Meanwhile, Vodafone's head of terminals technology, Chris May had spilled the beans about why the upgrade process often takes so long. "Typically software and firmware now goes through a two-stage testing cycle," he said. "After conducting a first round of tests we report back to suppliers with our recommendations for any improvements -- and then we would expect to see that upgrade again before we could be confident that it meets the highest standards for our customers." Then it goes all the way back to Google. "Once we have tested and approved the upgrade it goes back to the manufacturer to review before being sent for approval by Google, in the case of Android. "Once our testing's completed we're keen for the update to get through the remaining steps in the process smoothly and quickly so it's in our customers' hands sooner rather than later."